Is that plant mint or thyme? If your freshly planted garden is beginning to blend together, try one of these unique garden tag ideas. 1) Twigs. If you want an understated garden tag option, look no further than a nearby small tree. Chipping away at one half of the twig gives your room to write. 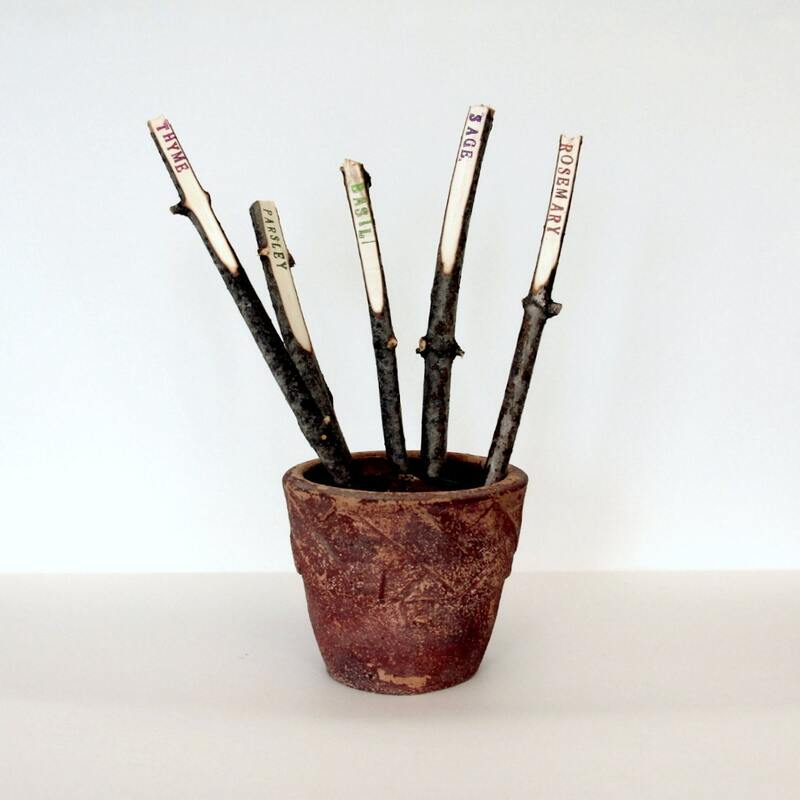 If you don’t want to label your own, we love these rustic garden markers by Etsy shop owner Jo. Simply send her the five words of your choice, from peony to tomato, and she’ll ship you your freshly made garden tags in two days for $20. 2) Corks. If wine is your drink of choice, hold onto your corks to easily make garden tags! They’re functional, beautiful and inexpensive. So grab a handful of corks and a permanent marker and begin labeling. Check out My Chic Life for easy to follow instructions. Feel free to get creative: Stamps and stickers look great on wine corks, too! 3) Spoons. Spoons give your garden a shabby chic look. 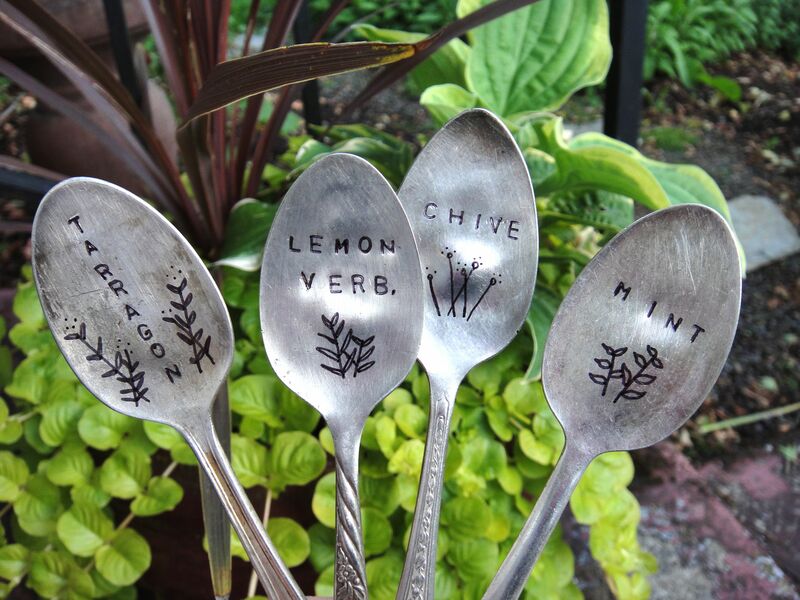 You can make your own – All you need are antique spoons (modern stainless versions don’t stamp well) and metal stamps. We love these from Evie’s Tool Emporium on Etsy. For step-by-step instructions, visit Shrimp Salad Circus. 4) Clay. Channel your inner potter and make your own clay garden tags. It’s simple – You roll, stamp and bake. All you need is oven bake-able clay (available at your local craft store), a rolling pin and rubber letter stamps. For more detailed instructions and step-by-step photos, visit Wit & Whistle.